The Char-Broil® Signature Series™ 2 burner gas grill represents convective grilling at its best. 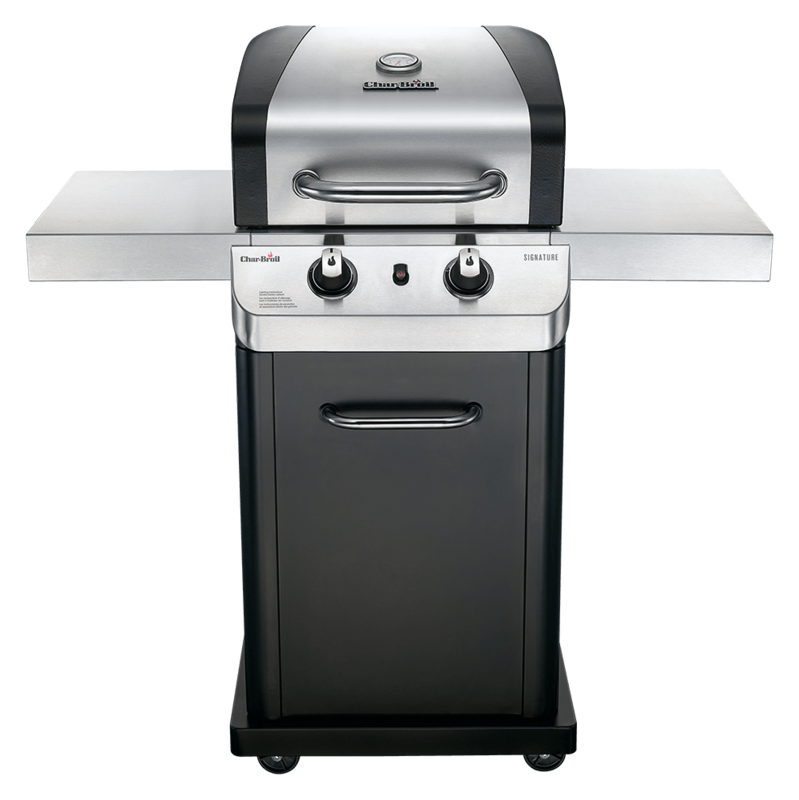 With a durable stainless steel construction, removable grease pan for easy clean-up, improved stainless steel burners and greater zonal cooking, the Signature Series™ 2 burner gas grill is perfect for the master griller. We’ve got you covered for 10 years on the stainless burners. 3 years on the firebox, lid, grates and emitters. All other parts are covered for 1 year. The stainless steel tent protects the burners from dripping juices and helps disperse heat. Stainless steel burners with top ports can be easily adjusted to deliver high heat or very low temperatures.